Among tech-savvy media fans, Video LAN Client (VLC for short) is easily one of the most popular video and audio players in the world. It's available for every major desktop platform, and for almost two years, it's been in beta for Android. Today the app has officially graduated to a 1.0 build, marking its formal exit from beta and a day of celebration for fans of flexible media playback on mobile devices. In other words: Good news, everyone! 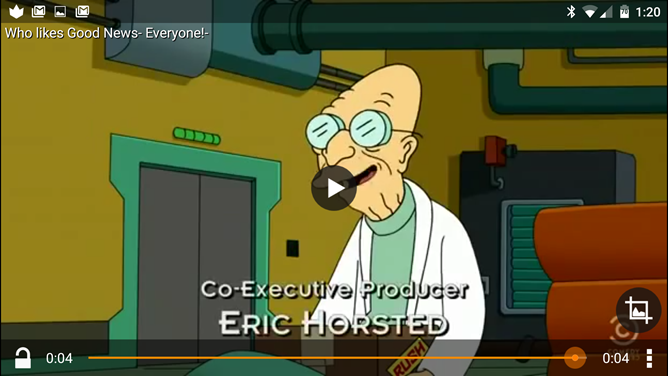 Artem gives us a bonus for every Futurama reference we publish. Ka-ching. 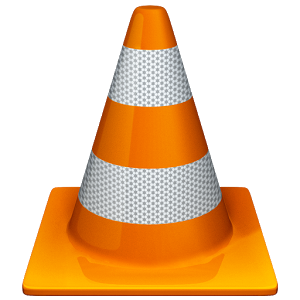 Aside from graduating to a stable release, the 1.0 version of VLC fixes a few Android 5.0 bugs and issues that specifically affected devices with ARMv8 processors. It looks like Chromecast support, which was announced back in June, still isn't baked in. Hopefully that will be coming in a future release. At the moment the app seems to be running just fine on my Nexus 6, though of course older devices might have trouble depending on their hardware and the complexity of the files with which you use them. VLC supports an insane amount of both audio and video formats. VLC for Android is free, just like it is on every other platform. You can download it from the Play Store on any Android device running 2.1 or later.